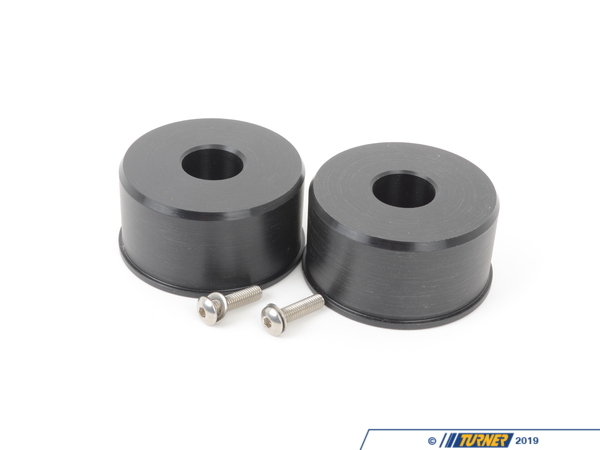 Rubber control arm bushings are designed to flex and absorb energy. 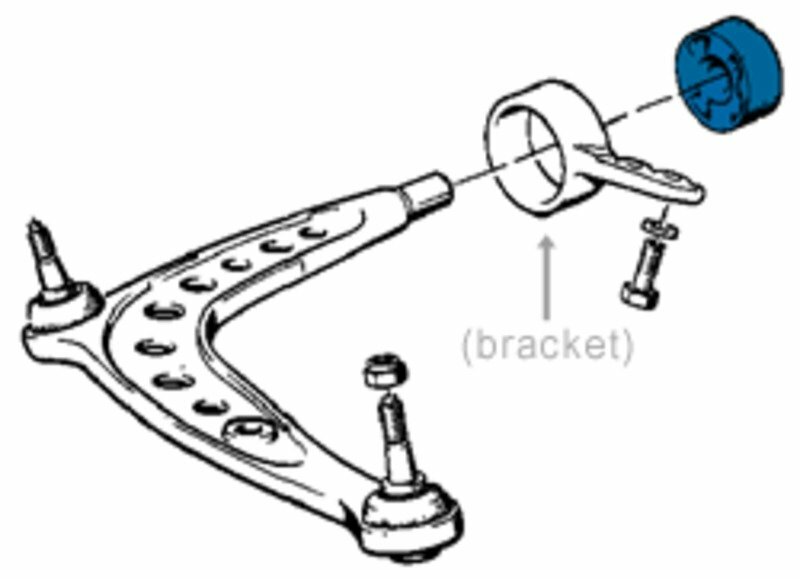 That�s fine on a streetcar but on an all-out racing machine you want your alignment to stay constant. We have picked Delrin for this application due to its high rigidity and low coefficient of friction allowing for minimal suspension bushing deflection (geometry change) but decreasing bushing windup or drag (friction). They are not recommended for street-use but highly-recommended for track cars. They will work on all E30, E36, and Z3 models. Stainless steel set screws included. For convenience, we carry spare bushing carrier brackets (part# TSU9995PB3, see illustation above) and can pre-install your bushings into the carriers, if you choose. This will save you from needing specialty tools (including a hydraulic press, drills, and taps) and will allow you (or your mechanic) to perform the install much quicker. If you'd like to purchase the carriers, be sure to select that option with the drop-down menu below. 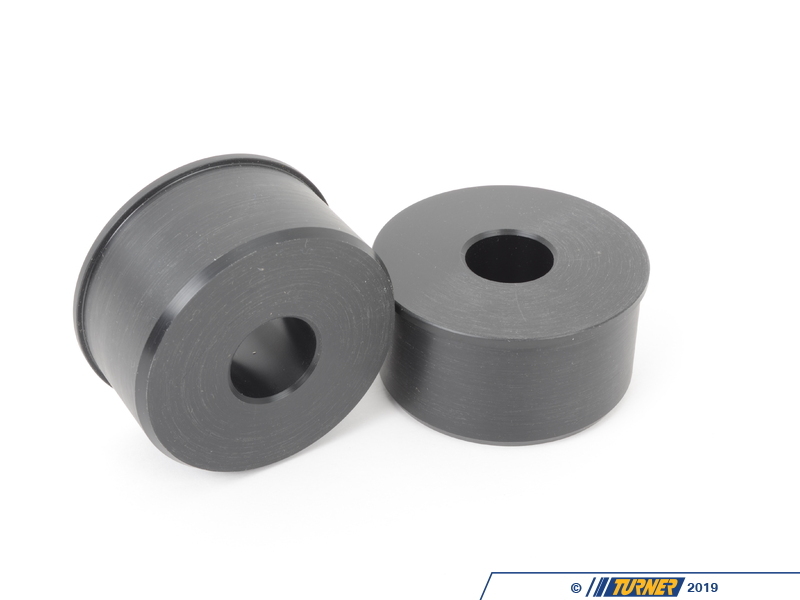 Rubber control arm bushings are designed to flex and absorb energy. Thats fine on a streetcar but on an all-out racing machine you want your alignment to stay constant. 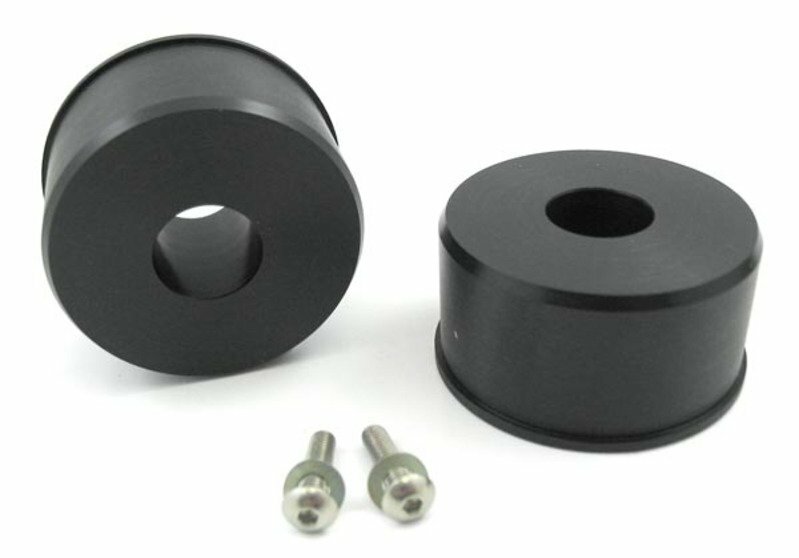 We have picked Delrin for this application due to its high rigidity and low coefficient of friction allowing for minimal suspension bushing deflection (geometry change) but decreasing bushing windup or drag (friction). They are not recommended for street-use but highly-recommended for track cars. They will work on all E30, E36, and Z3 models. 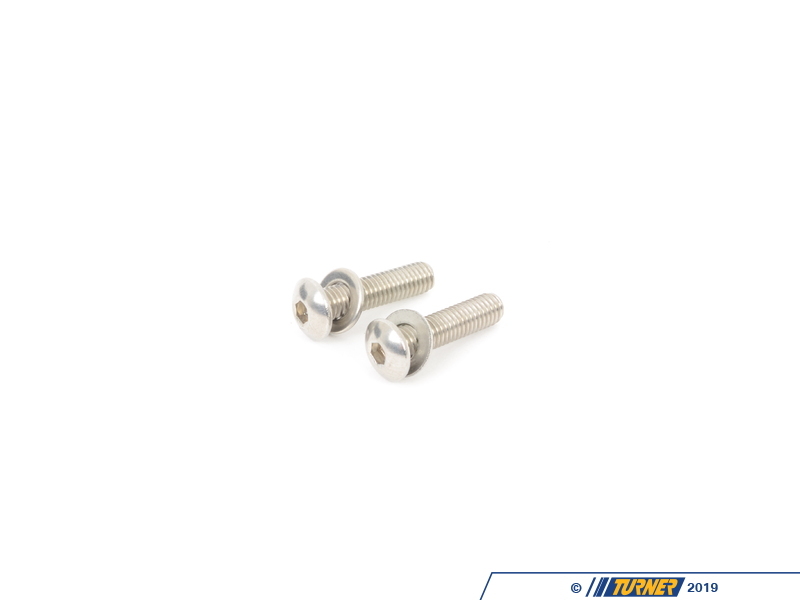 Stainless steel set screws included.